Aladdin is next up in Disney’s live-action reboots, with the film set for a May 24, 2019 theatrical release date. Mena Massoud stars as Aladdin, Naomi Scott stars as Jasmine, Marwan Kenzari as Jafar… and Will Smith stars as the Genie character that Robin Williams made so popular in the 1992 animated version. 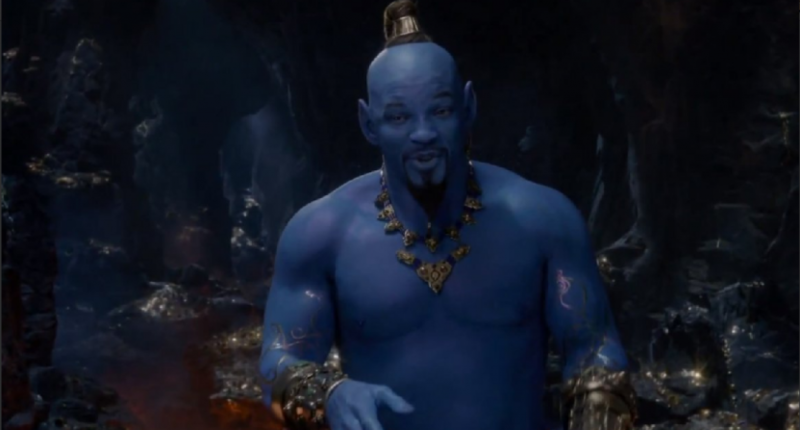 During the Grammys on Sunday night, Disney released a teaser trailer of Aladdin, and we got our first look at Will Smith as Genie. It’s, um, well… just see for yourself. That’s very weird, and naturally didn’t take long to become the talk of Twitter.